All seven Louisiana Republican Congressmen joined an amicus brief filed with the Supreme Court on Friday (July 27) to prevent removal of a 40-foot-tall memorial cross in Prince George’s County, Maryland. The Bladensburg peace cross was erected in 1925 to honor 49 local men who died in World War 1. Sen. Ted Cruz and Rep. Steve Scalise filed the amicus brief, with the support of 109 members of Congress. All signatories are Republicans except for Sen. Joe Manchin, D-W.Va. Those in Louisiana are Sens. Bill Cassidy and John Kennedy and Reps. Clay Higgins, Mike Johnson, Ralph Abraham and Garret Graves. The only Louisianan congressman who did not sign is Democrat Cedric Richmond of New Orleans. Since 1961, the monument has been owned and maintained by a public agency, the Maryland-National Capital Park and Planning commission. It was initially paid for and erected by local families and the American Legion. 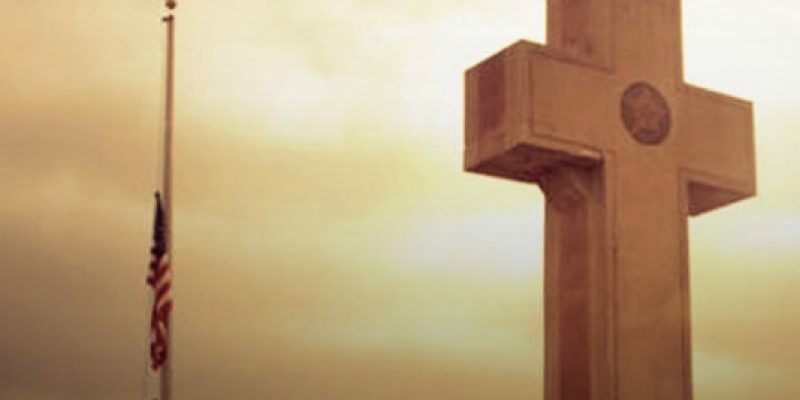 The American Humanist Association (AHA) sued to remove the cross, arguing that the symbol, associated with Christianity and on public property, violates the First Amendment’s Establishment Clause. In 2015, U.S. District Judge Deborah Chasanow in Baltimore rejected AHA’s argument. She ruled that its purpose was not primarily religious and that it had been used “almost exclusively to mark federal holidays,” NOLA reports. AHA appealed to the 4th Circuit Court of Appeals in Richmond, which reversed her decision. The court’s 2-1 opinion stated the religious aspects of the memorial “easily overwhelm the secular ones.” The full 4th Circuit Court later split 8-6 in upholding that decision. “For nearly a century, the Bladensburg Peace Cross has stood as a permanent reminder to the local community that defense of the country entails sacrifice, and that such sacrifice should be honored. “Fixating on the religious nature of the cross, and all but ignoring the civic and secular reason for the monument’s display, the court held that a “reasonable observer” would conclude that the Peace Cross constitutes an impermissible governmental endorsement of Christianity. Relying on this Court’s decision in Lemon v. Kurtzman, 403 U.S. 602 (1971), and the perceptions of a “reasonable observer,” the Fourth Circuit has ordered the removal of a near century-old monument dedicated to the memory of local soldiers who perished in the Great War. What is in need of dismantling in this case, however, is not the memorial at issue, but the confounding jurisprudence used by the court below in reaching its erroneous conclusion.